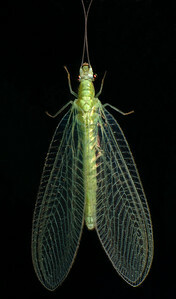 Green Lacewing. 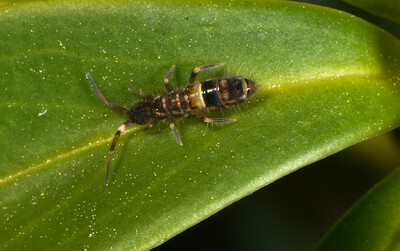 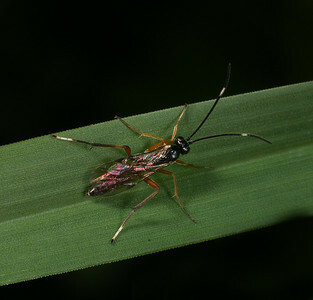 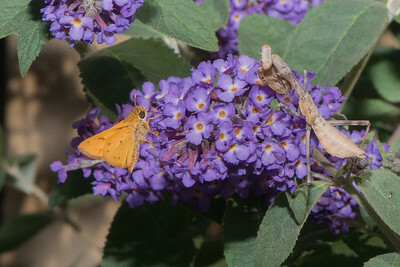 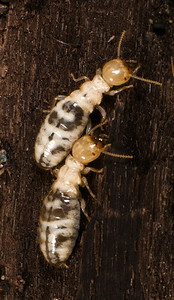 Their larvae feed on aphids. 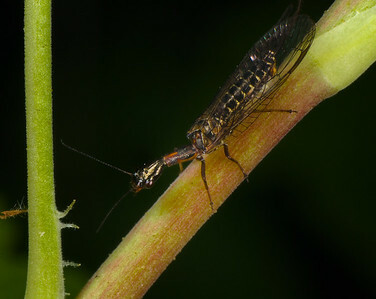 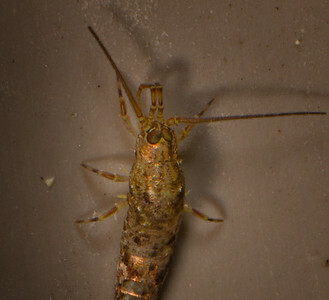 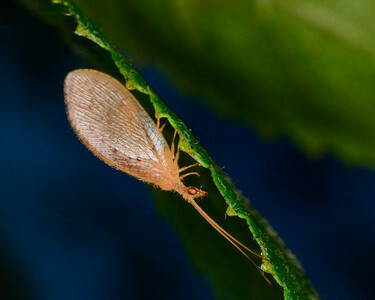 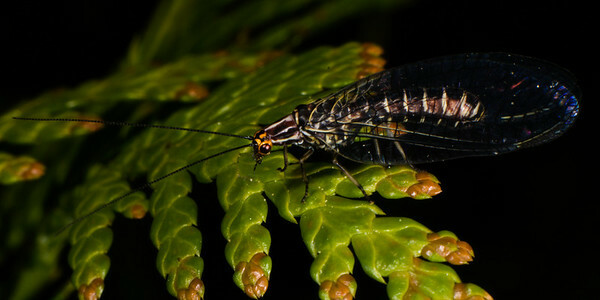 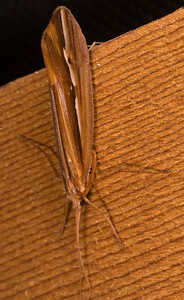 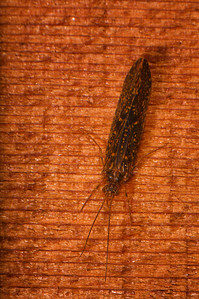 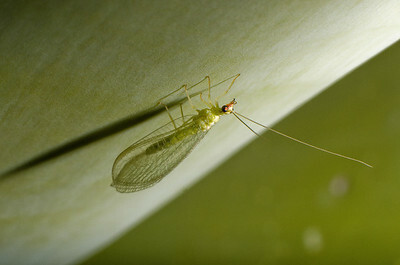 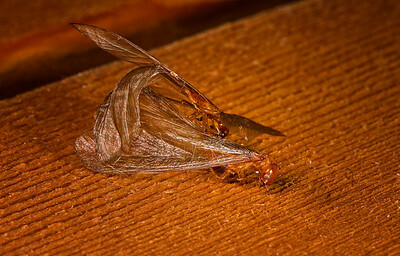 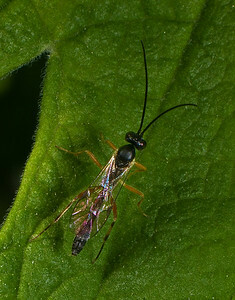 Lacewings are in the Order Neuroptera, meaning net-winged. 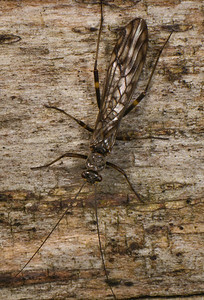 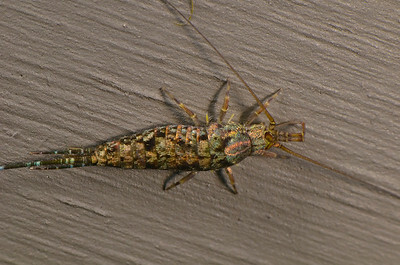 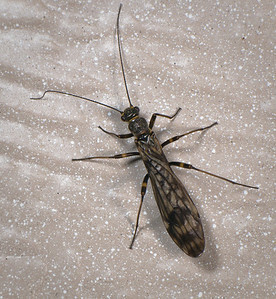 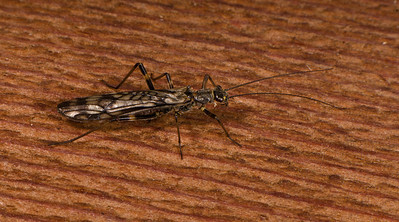 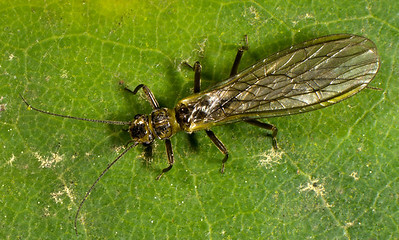 At least the fourth Stonefly species seen in the neighborhood this Spring. 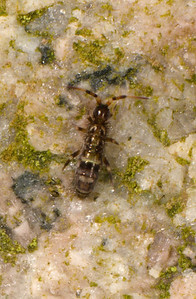 Springtail: Very small. 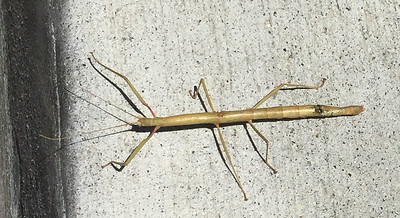 Has six legs, but is not classified as an insect. 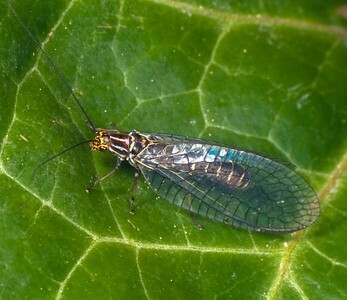 Very abundant in mulch and leaf litter. 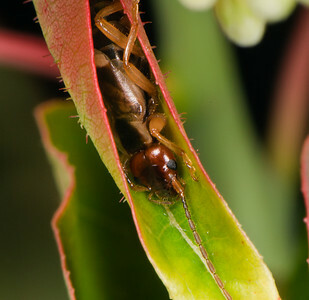 If you see a curled leaf, there is probably something inside. 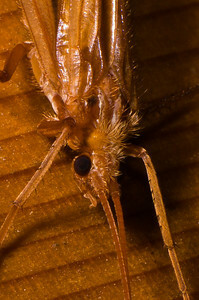 It could be a spider guarding an egg sac, or it could be a caterpillar. 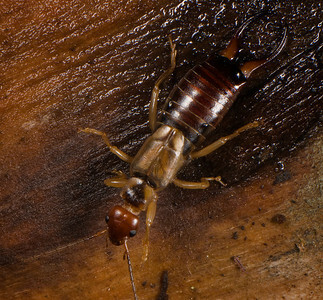 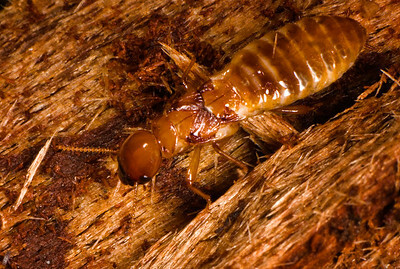 In this case it is an earwig. 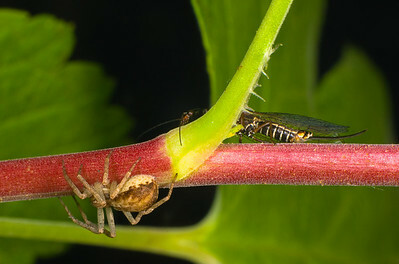 The spider scurried away shortly after this photo was taken.